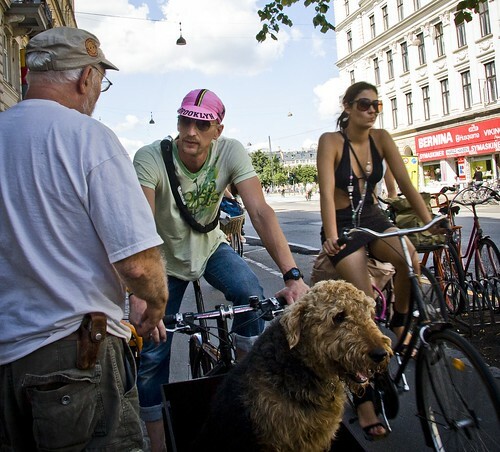 Four Copenhageners, one of them canine. His name is Skipper. Harry, from Larry vs Harry cargo bikes, was test-dogging a dog box on the Bullitt cargo bike. Skipper loved it, by all accounts. An odd expression on her face though. Boy do I want one of those cargo bikes. They're beautiful. Skipper is my new favorite internet personality. He just exudes charm! I can see he's thinking full length feature and this was only the trailer... Lovely.